Making new year’s resolutions is one thing…sticking to them is another. Studies show that less than 10 percent of Americans actually achieve the resolutions they set. So what’s your plan to get the skin you’ve always wanted in 2016? We’ve got you covered. Microdermabrasion: If you’re looking to treat acne scarring, sun damage age spots, freckles, stretch marks, fine lines, scars and/or rough skin with no downtime, consider microdermabrasion. The exfoliating treatment can be performed on the face, neck, chest, hands, back, elbows and even your feet. Microdermabrasion speeds up the cellular turnover process and helps you gradually improve your skin within just a few treatments. PicoSure Tattoo Removal: There’s no better time than the new year to say goodbye to your unwanted tattoo. The most advanced laser treatment available, PicoSure targets difficult ink colors including blue and green. It also removes ink more effectively than any other laser and can be used on previously treated tattoos. 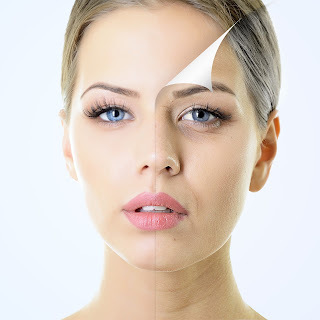 Dermapen/Microneedling: An innovative step in non-surgical skin rejuvenation, Dermapen 3 effectively improves skin tone, erases fine lines, diminishes scars and leaves skin glowing with shorter treatments, less recovery time and less pain. If you’re looking to transform your skin but don’t want to go under the knife, this is your go-to for 2016. Injectables: Another non-surgical skin transformer, Botox and fillers are a great way to achieve your ideal look with no surgery or downtime. So many new formulas and brands out now, your options are endless for lifting and getting rid of stubborn wrinkles.